IT company Quick Heal on Tuesday warned that two new banking trojans (malware designed to steal financial data) targeting Android are hitting users in India to access confidential data. The Trojans, named “Android.Marcher.C" and "Android.Asacub.T", operate by exploiting user behaviour of android mobile users and imitating notifications from leading banking and finance apps in India as well as popular social apps such as WhatsApp, Facebook, Twitter, Instagram, and Skype. The trojans mask themselves by using misleading icons and names to trick users. “Android.Marcher.C" uses a fake Adobe Flash Player icon and "Android.Asacub.T" mimics an android update icon and the name “update”. The malwares work by forcing the users into allowing special privileges to the app by clicking “Activate” after it is installed in the device. Once the malware has this access, it is able to trick sensitive information from the user such as banking credentials, passwords, card details, etc. whenever the user opens one of the apps the trojan is designed to imitate. This is done by displaying a fake window asking for the credit/debit card number of the user without which, the user is unable to access the app. Sanjay Katkar, Co-founder and CTO of Quick Heal Technologies Limited, said, "Indian users often download unverified apps from third-party app stores and links sent through SMS and email. This gives hackers a lucrative opportunity to steal confidential information from unsuspecting users." He also said the company has detected three other similar malware in less than six months and that it seems like hackers are now targeting mobile users as they are “far more vulnerable to sophisticated phishing attacks”. Android users are advised to practice caution when downloading apps and to only download them from trusted sources. Always verify app permissions and install a reliable mobile security app. There is a new version of the creative FakeBank Android malware that intercepts victims’ calls to their banks and redirects them to scammers. The trojan is one of the most creative android malware threatening the market. FakeBank operates by fooling customers using fake login screens inserted on top of legitimate banking apps. The innovative new version not only lets scammers intercept banking calls made by customers by switching the dialed number with a special one pre-configured in the configuration file, but also enables them to actually make calls to customers using a special number, which will come up on users’ screen as if their bank is calling them. This lets these scammers fool customers into giving away their banking information whenever they want it. This new variant is allegedly only active in South Korea at the moment, according to a report by Symantec researchers, who have discovered the trojan in 22 apps so far via social media links and third-party app stores, targeting Korean bank clients. In the past, the trojan has been able to whitelist its process to remain active while the users’ phone was in sleep mode and has also used TeamViewer to grant attackers full access to the device. 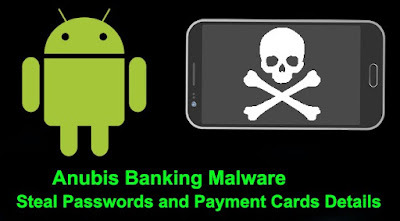 A new Android malware is reportedly targeting over 232 banking applications, including a few banks in India. This was discovered by the internet and cybersecurity firm Quick Heal, which identified the Android Banking Trojan imitating banking mobile apps around the world. It includes major Indian banks apps from SBI, HDFC, ICICI, IDBI, and Axis, among others. The Trojan malware, named ‘Android.banker.A9480’, is being used to steal personal data such as login data, messages, contact lists, etc. from users and uploading it to a malicious server. This malware also targets cryptocurrency apps installed on users’ phones to extract similar sensitive data. According to Quick Heal, the banks affected by the malware include Axis mobile, HDFC Bank Mobile Banking, SBI Anywhere Personal, HDFC Bank Mobile Banking LITE, iMobile by ICICI Bank, IDBI Bank GO Mobile+, Abhay by IDBI Bank Ltd, IDBI Bank GO Mobile, IDBI Bank mPassbook, Baroda mPassbook, Union Bank Mobile Banking, and Union Bank Commercial Clients. The full list can be found on Quick Heal’s original blog post. The security firm has revealed that the malware is being distributed through a fake Flash Player app on third-party stores. “This is not surprising given that Adobe Flash is one of the most widely distributed products on the Internet. Because of its popularity and global install base, it is often targeted by attackers,” the firm said in a statement. 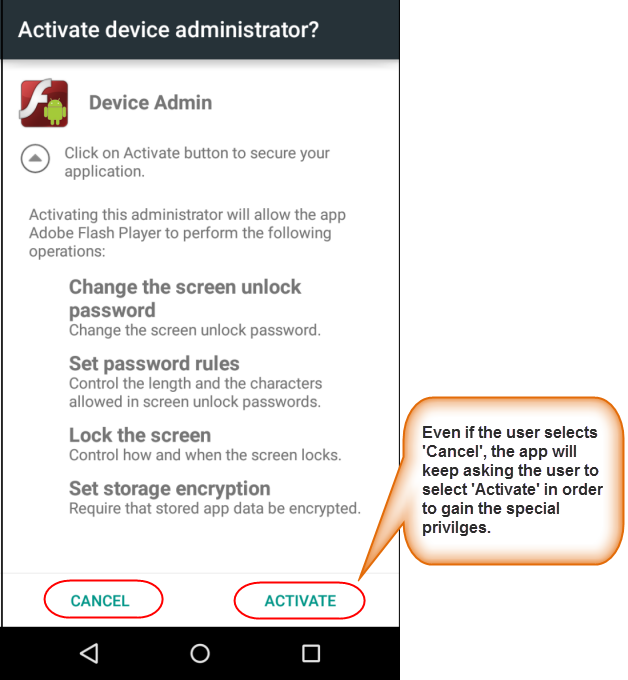 Once the malicious app is installed, it will ask the user to activate administrative rights. The app sends continuous pop-ups until the user activates the admin privilege, even if the user denies the request or kills the process. Once activated, the malicious app hides its icon soon after the user taps on it. They also revealed that if any of the targeted apps are found on the infected device, the app shows a fake notification on behalf of the targeted banking app. If the user clicks on the notification, they are shown a fake login screen to steal the user’s confidential info like net banking login ID and password. Since the malware is able to intercept incoming and outgoing SMS from an infected smartphone, it can bypass the OTP based two-factor authentication on the user’s bank account and can misuse the access. How can users protect their data? It should be noted that Adobe Flash player has been discontinued after Android 4.1 version as the player comes integrated with the mobile browser itself. There is no official Adobe Flash Player available on the Google Play Store. Adobe had also announced that it will stop updating and distributing Flash player by the end of 2020 in all formats of the browser. To stay safe from this trojan, users should take care to download only verified apps and avoid third-party apps or links provided in SMS or emails. Users should also keep the “Unknown Sources” option disabled in the settings (Settings > Security > Unknown Sources). Additionally, users are advised to install a trusted mobile security app that can detect and block fake and malicious apps before they can infect their device. It is also strongly advised to always keep the device OS and mobile security apps up-to-date as per official instructions. Researchers from Doctor web security have identified a banking trojan called Android.BankBot.65.origin which has been specially created for Android devices. Cyber criminals are adding the malicious code with the legitimate online banking applications and planting them in various third-party android markets and other websites. 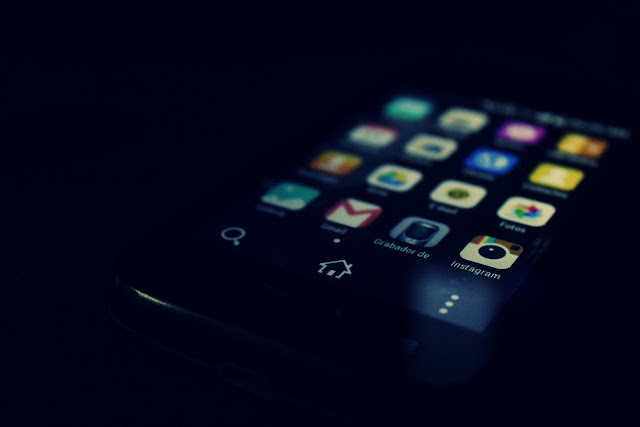 "Due to the fact that a compromised application looks and operates as a legitimate one, potential victims are very likely to install it on their mobile devices." After that the Trojan starts accessing the system information and do nasty stuff. After the installation of malicious software Android.BankBot.65.origin generates special kind of configuration file containing operating parameters for the Trojan. The trojan usually receive commands from host server and then exploit all the device vulnerability causing cyber criminals to steal money by intercepting and modifying SMS. It may intercept incoming SMS messages and send texts to numbers listed by cyber criminals. It can add various texts to the list of incoming SMS messages. Using these methods, cyber criminals steal money from users' bank accounts by sending messages to transfer money from the victim's account to the account of cyber criminals or by intercepting messages containing verification codes or by implementing other fraudulent methods . Messages like “pre-approved Credit card asking personal information” are example of fraudulent schemes which may lead user to fall into trap and they may share their banking credentials which leads to online banking stealing . And Thus its important to download mobile banking applications from authentic sources only . A new online banking malware, which was found in Operation Emmental, has now been causing problems in Japan. 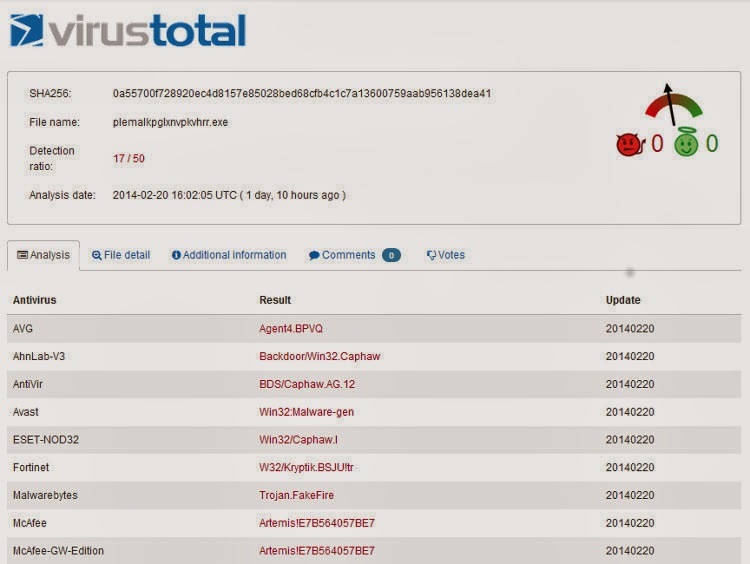 TROJ_WERDLOD, a new detected malware, has been causing problems in the country since December 2014. More than 400 systems were affected by the new malware. According to Hitomi Kimura, a security specialist at TrendMicro, the malware can change two settings which allow information theft at the network level. It does not require a reboot or any memory-resident processes on the affected systems. Kimura wrote on a blog that one of settings gets modifies in the system’s proxy settings. The attackers controls the way from Internet traffic to a proxy. And the second is the additional malicious root certificate to the system’s trusted root store. It allows malicious site certificates which are added in man-in-the-middle attacks to be used without triggering alerts or error messages. He wrote that the TROJ_WERDLOD harms users via spam mails with an attached .RTF document. The document said to be an invoice or bill from an online shopping site. If anyone opens the .RTF file, the user gets instruction to double-click the icon in the document in order to execute the TROJ_WERDLOD in the system. According to him, the hackers used a fake certificate and proxy in Operation Emmental. They also used fake mobile apps in order to steal SMS messages from online banks. It seems that the same behavior may be seen in the future in Japan, although Japanese banks rarely use SMS authentication. - 1. Remove the proxy automatic setting in Windows and Firefox and if anyone has an option provided by the ISP and/or system administrator, he/she can change it back to the previous setting. USA, Germany, UK, Czech Republic are the top affected countries this year. While Trojans like this are not new, what makes it remarkable is the the multi-layered concealing processes and wide range of functions it can execute. The Vawtrak Trojkan spreads via drive-by download – in the form of spam email attachments or links to compromised sites or through malware downloaders such as Zemot or Chaintor or through exploit kits like Angler. 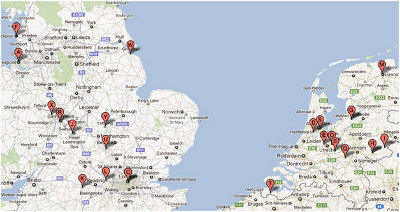 Tracking the Trojan Vawtrak, AVG has revealed a detailed analysis of its installation and functionality. 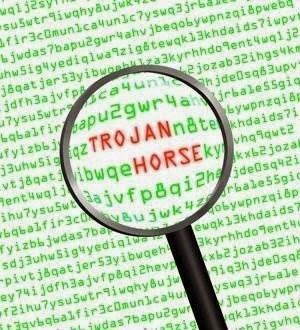 The trojan was delivered through a spam email from Amazon which contained link to a zip archive stored on a compromised Wordpress site. The delivered file which actually was a executable tried to simultaneously look as a pdf and a screen saver. It then installed itself into the system and ensured persistence by enabling auto-execution Windows start-up. Without causing visible changes in the system, it then dropped the DLL into the program folder and deleted its original version. This shorter second DLL decrypts its payload, which looks like a normal Windows exe file but is a compressed file. The decompressed file replaces the second DLL and extracts the final module in a compressed format which further contains another two DLL files. The appropriate DLL then executes Vawtrak's main functionality. Once executed, Vawtrak disables antivirus protection of almost all known anti-viruses, steals multiple passwords from browsers (even obscure browsers such as K-Meleon or Flock) or applications, steals browser history, modifies browser settings, logs keystrokes, takes screenshots or records user actions on desktop, enables remote access to victim's system. Further it communicates with remote Control & Command servers, executing commands from a remote server, sending stolen information, downloading new versions of itself and web-injection frameworks. One fascinating feature is that it can connect to the update servers hosted on the Tor hidden Web services via a Tor2web proxy without installing any special software such as Tor browser. Moreover, the communication with the remote server is done over SSL, which adds further encryption. Due to the use of steganography, the user remains totally ignorant of the working and updation of the Trojan. Vawtrak is not as advanced as some others but its actions are too aggressive and they may cause stability or performance issues in the infected machines. Staying vigilant about online phishing and scams is the most efficient way of avoiding Vawtrak but as it may still find its way, even without a user's direct interaction. So having an efficient and updated antivirus solution is of utmost importance. For full analysis of the Trojan, read the complete report by AVG. Researchers from Trusteer have discovered a new Banking Trojan dubbed as "Kronos" which is being sold in the Underground forum. The malware is being sold for $7,000 and the cyber criminals are offering one week test for the price of $1,000 with full access to the command and control server without any limitation. Similar to other banking Trojans, this new malware also capable of doing form grabbing and HTML Injection. Kronos has user-mode rootkit(ring3) capabilities that will help this trojan to defend itself from other pieces of malware, will work in both 32bit and 64 bit Operating systems. It is also designed to evade antivirus software and bypass Sandbox. The malware use encryption to communicate with the C&C server. Trusteer said it has not yet analyzed the malware sample in order to validate the seller’s claims, all the information provided are based on the advertisement in the underground forum. 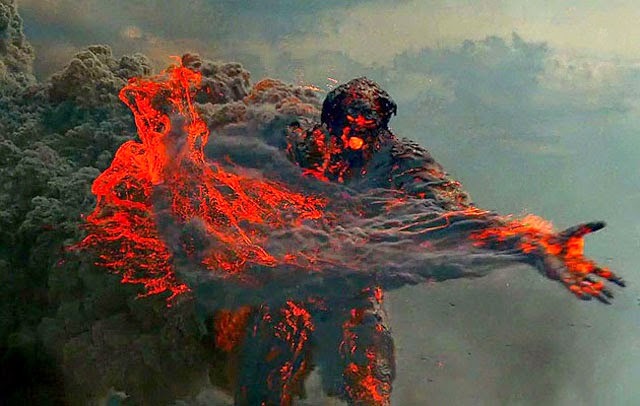 The Zeus malware is one of the most damaging pieces of financial malware that has helped the culprits to infect thousands of business computers and capture passwords, account numbers and other information necessary to log into online banking accounts. U.S. Department of Justice unsealed charges against nine alleged cyber criminals for distributing notorious Zeus malware to steal millions of dollars from bank accounts. Vyachesla V Igorevich Penchukov, Ivan Viktorvich Klepikov, Alexey Dmitrievich Bron, Alexey Tikonov, Yevhen Kulibaba, Yuriy Konov Alenko, And John Does are charged to devise and execute a scheme and artifice to defraud Bank Of America, First Federal Savings Bank, First National Bank Of Omaha, Key Bank, Salisbury Bank & Trust, Union Bank And Trust, And United Bankshares Corporation, all of which were depository institutions insured by the Federal Deposit Insurance Corporation. They are also accused to use Zeus, or Zbot, computer intrusion, malicious software, and fraud to steal or attempt to steal millions of dollars from several bank accounts in the United States, and elsewhere. It has also been reported that defendants and their co-conspirators infected thousands of business computers with software that captured passwords, account numbers, and other information necessary to log into online banking accounts, and then used the captured information to steal millions of dollars from account-holding victims' bank accounts. They have also been given notice by the United States of America, that upon conviction of any defendant, a money judgment may be imposed on that defendant equal to the total value of the property subject to forfeiture, which is at least $70,000,000.00. The United States of America has also requested that trial of the case be held at Lincoln, Nebraska, pursuant to the rules of this Court. The Metropolitan Police Service in the U.K., the National Police of the Netherlands’ National High Tech Crime Unit and the Security Service of Ukraine are assisting the investigation. Number of Malvertising attacks are appeared to be increasing day by day, even top websites fall victim to such kind of attacks - YouTube is to be the latest popular organization affected by malicious ads. Security experts from Bromium have discovered that the cyber criminals were distributing a malware via YouTube ads. According to researchers, malicious ads attempt to exploit vulnerabilities in outdated Java. It loads different malicious jar file, to ensure the exploit is compatible with the installed java version. The Exploit kit used in this attack "Styx Exploit Kit" which was the same one used by cybercriminals to infect users of toy maker Hasbro.com. If the user's machine is having vulnerable plugins, it will exploit the vulnerability and drops a Banking Trojan known as "Caphaw". Researchers say they are working with Google Security team. Security researchers at ESET have found that the infection ratio of the lesser-known Russian Banking Trojan "Corkow" is increasing. According to WeLiveSecurity, the Corkow trojan allows attackers to use different plug-in to improve the capabilities. Like other trojans, it is capable of logging keystrokes, grab screen shots, web injection and form-grabbing to trick victims into handing over their financial data to cyber criminals. In addition to the usual banking trojan features, it also allows attackers to remotely access the trojan and installs Pony- universal password stealer. 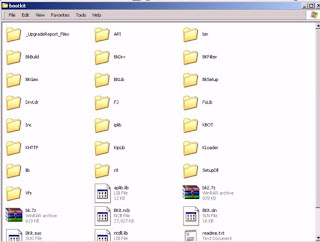 The malware also capable of collecting browser history, list of applications installed and processes running on the infected machine. It appears the malware has interest on websites and softwares related to Bitcoins and systems belong to Android developers who publish apps in Google Play. Once a system is infected, the malware's payload will be encrypted using volume serial number of C drive and behaves innocuously, if it is being executed in a separate computer from the one it initially infected in an attempt to make the malware analysis difficult. ESET is about to release more detailed technical examination of this malware next week. Carberp is one of the notorious Banking trojan which is designed to steal online banking login details and other financial information from users. 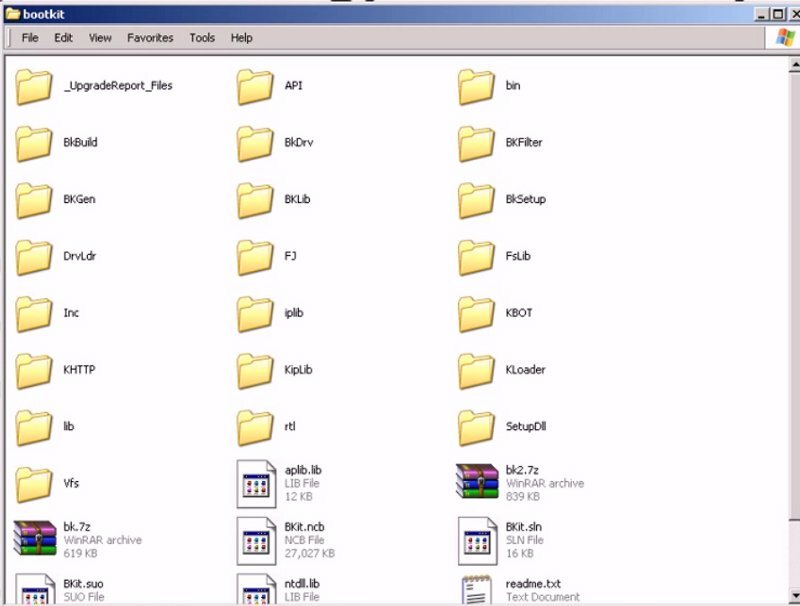 The source code for the Carberp has reportedly been leaked. A password-protected archive file containing the source code appeared to be published online few days ago. However, at the time, researchers are not able to confirm whether the leak is genuine or not. Today, researchers confirmed the leak after the password was posted in one of the underground forum. CSIS reports that they have downloaded a package that include "Carberp bootkit along with other source codes for what seems to be e.g. Stone bootkit, Citadel, Ursnif etc." "By this leaks, malware will change drastically, we can expect a new merge lmalicious function, more sophisticate botnet, and unpredicted or unexpected vector of attack coming after this, like new variant of APT adopting these codes, or cred.stealer from Asia, or else.." MalwareMustDie Team told EHN. 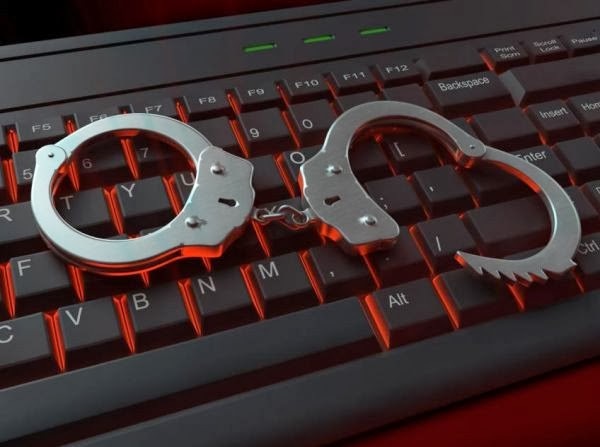 An Algerian man who is believed to be the creator of the infamous Banking Trojan "SpyEye" was extradited from Thailand to the United States to face charges. Hamza Bendelladj, 24-year-old, also known as Bx1, will face charges for allegedly playing a role in developing, marketing ,distributing and controlling the SpyEye virus, according to FBI report. 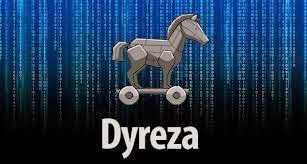 SpyEye is a Banking Trojan(similar to Zeus virus) that steals confidential personal data and finance information such as online banking credentials , credit card information. He was arrested at Suvarnabhumi Airport in Bangkok, Thailand, on Jan 5, while he was in transit from Malaysia to Egypt. If convicted, he will face a maximum sentence of up to 30 years in prison for conspiracy to commit wire and bank fraud; up to 20 years for each wire fraud count; up to five years for conspiracy to commit computer fraud; up to five or 10 years for each count of computer fraud; and fines of up to $14 million. 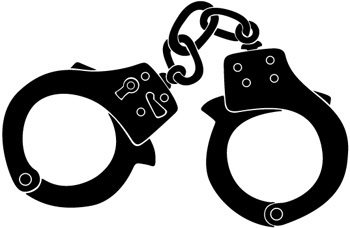 The masterminds allegedly behind one of the notorious banking Trojan Carberp that stoles millions of dollars and the developers have been arrested in Ukraine. Carberp is a banking Trojan that first appeared in 2010 and started as a private malware used by a single group. The gang in 2011 sold the malware's builder, a tool used to customize their Trojan program for $10,000 to a limited number of customers. 28-year-old Russian, the alleged leader of the group arrested along with about 20 individuals aged between 25 and 30 years old. According to Kommersant Ukraine report, the cyber criminal ring is responsible for stealing more than $250 million in Ukraine and Russia alone. A highly sophisticated cybercriminal campaign , dubbed as "Eurograbber" , enabled criminals to steal more than $47 million (€36 million) from more than 30,000 bank accounts belong to corporate and individuals across Europe. The finding comes from a case study published by Security firm Check Point and online fraud prevention solutions provider Verasafe . According to the case study, the attack began in Italy, and soon after, tens of thousands of infected online bank customers were detected in Germany, Spain and Holland. The campaign starts when a victim unknowingly clicks a malicious link in a spam email or possibly through general web surfing. Clicking on the link directs them to a site that attempts to drop the Banking Trojan - a malware that steals Bank login credentials. The next time the victim logs in to their bank account , the Trojan intercepts the session and displays fake banking page that informs the customer of the “security upgrade” and instructs them on how to proceed. The page recommend user to input their smartphone OS and phone number. Once victim gave the phone details, the Eurograbber Trojans sent SMS with a link to a fake "encryption software"- in fact, it is "Zeus in the mobile" (ZITMO) virus. Once the Eurograbber are installed on the victims' PC and smartphone, the trojan lays dormant until the next time the customer accesses their bank account. When victim log in , immediately it transfers victim's money to criminals' account. The Trojan then intercepts the confirmation text message sent by the bank, forwarding it to C&C server via a relay phone number. 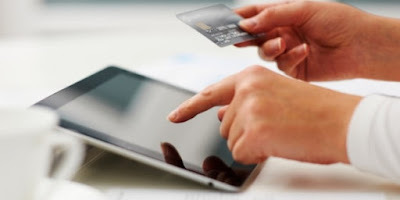 The server uses the message to confirm the transaction and withdraw the money. A spokesperson for the minds behind the Citadel Trojan said recently on an underground forum that the malware would no longer be publicly available, according to RSA. According to RSA’s FraudAction Research Labs, a spokesperson for the creators of the Citadel Trojan declared on an underground forum after the recent release of the Trojan’s latest version (v1.3.4.5) that the software would no longer be publicly available and only existing customers would be able to receive upgrades. Others who wish to purchase a new kit would have to get an existing customer to vouch for them. It remains to be seen if the developers will actually pull it off digital shelves, a spokesperson for EMC’s RSA security division told eWEEK July 2. "While this could be a marketing stunt designed to create urgency and generate more sales, Citadel’s developers could also be seeing the need to slow down sales," RSA blog post reads. 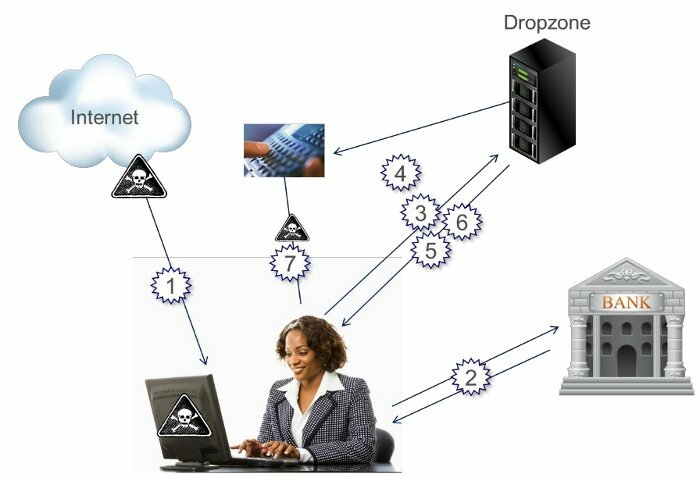 Citadel is built on the source code of the notorious Zeus Trojan typically linked to the theft of banking credentials and fraud. In May, the Internet Crime Complaint Center (IC3), a multi-agency task force consisting of the FBI, the National White Collar Crime Center (NW3C) and the Bureau of Justice Assistance, warned that the Citadel platform was being used to deliver ransomware known as Reveton. Today, Citadel is the most advanced crimeware tool money can buy, RSA said. Sold for $2,500, attackers can also purchase plug-ins for an average of $1,000 each. "Malware developers working on criminal-popular projects like Citadel rightfully fear law enforcement. Their actions of developing, supporting and selling advanced crimeware makes them an accessory to the crimes which can easily get them indicted alongside their botmaster customers. The more popular the banking Trojan becomes, the more banks and merchants push to have its developers and bot masters behind bars." "Looking to the surrounding cybercrime arena, history proves that malware coders know when to leave the room. To date, developers of popular Trojans like Zeus’ Slavik, SpyEye’s Gribodemon, and Ice IX’s GSS have never been arrested and we are seeing the Citadel’s team already taking measures to go deeper underground for their own safety." Russian police arrest eight individuals in Moscow on suspicion of making millions in electronic banking fraud with a Banking trojan known as 'Carberp' . The arrested suspects include two unnamed brothers, aged 29 and 32, whom Russian cops believe to be the ringleaders of the gang. According to the MVD statement, the hackers made more than 60 million roubles(£1.3m) with their trojan. Apparently, the hackers rented an office in Moscow, pretending to be a legitimate IT company. "Our experts did an enormous amount of work, which resulted in identifying the head of this criminal group, the owner and operator of a specialised banking botnet, identifying the control servers, and identifying the directing of traffic from popular websites in order to spread malware infection," said Ilya Sachkov, CEO of Group-IB, a security firm that helped investigate the gang's attacks. During the raid in the suspects' home and office, The police had recovered numerous ATM cards, forged documents and 7.5 million roubles (about £162,000) in cash. Symantec researchers currently tracking a banking Trojan called Trojan Neloweg. According to their research, the threat has been localized to Europe. This Trojan steals login credentials of infected users including banking data. The browser of Infected system can function like a bot and accept commands. It can process the content of the current page that it is on, redirect the user, halt the loading of particular pages, steal passwords, run executables, and even kill itself. Unfortunately the kill function is a bit excessive, and deletes critical system files, which in turn prevent users from logging in properly. A spam mail that purporting from National Automated Clearing House Association (NACHA), the Federal Reserve Bank, or the Federal Deposit Insurance Corporation (FDIC) and claims there is problem with your recent Transaction. If recipients needs help, the mail ask them to visit a link. The link leads to a Phishing page. Once recipient visit the link, Without the knowledge of Victim, the page download a malware "Game Over" and infects the victim's system. The Malware is newer variant of ZeuS malware that steals your Confidential data related to Bank. Not only the malware steals the data but also make your computer as Botnet Slave. A botnet slave can be used to attack a website with Distributed Denial of Service(DDOS). According to Fbi report, the attackers used the stolen bank information to purchase of precious stones and expensive watches from high-end jewelry stores. "The criminals contact these jewelry stores, tell them what they’d like to buy, and promise they will wire the money the next day. So the next day, a person involved in the money laundering aspect of the crime—called a “money mule”—comes into the store to pick up the merchandise. After verifying that the money is in the store’s account, the jewelry is turned over to the mule, who then gives the items to the organizers of the scheme or converts them for cash and uses money transfer services to launder the funds." Report says. Fbi see an increasing number of unsuspecting mules hired via “work at home” advertisements who end up laundering some of the funds stolen from bank accounts. 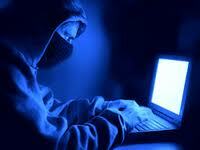 The CyberCriminals send e-mail to those who search for a Online jobs. The hired employees are provided long and seemingly legitimate work contracts and actual websites to log into. They’re instructed to either open a bank account or use their own bank account in order to receive funds via wire and ACH transactions from numerous banks…and then use money remitting services to send the money overseas. If you think you’ve been victimized by this type of scheme, contact your financial institution to report it, and file a complaint with the FBI’s Internet Crime Complaint Center.